There’s a plethora of insightful investment content beyond the mainstream news sources. Here are the best investing blogs widely bookmarked on Wall Street. Barry Ritholtz started the Big Picture that became widely-read, and he’s now a Bloomberg View Columnist. The Big Picture provides daily commentaries on market news, and more importantly, reading lists for mornings and afternoons that are great reading materials for the commute. Zero Hedge has up-to-the-minute commentaries on world news and their market impact. Its opinions are off the beaten path and informative. A great way to digest investment related news in real time. PIMCO is known for its fixed income prowess, and the Insights blog is widely recognized as the authoritative source for macro commentaries. A must read for those interested in macro and credit. Marks is respected for his insights on behavioral finance and investment philosophy, particularly on the topic of secondary thinking and developing contrarian views. His memos are informative and must-reads. Warren Buffett has been a vocal fan of Marks’ writing. Fidelity is the equity counterpart of PIMCO. As the world’s largest equity advisor, its opinions can’t be ignored. Its sector viewpoints give the latest investment rationale for each industry, which is especially helpful for you to develop industry expertise. If you are a value investor, Greedback’d is your daily muse. It uses everyday examples to teach value investing in an amusing and entertaining way. Flipping through hedge fund F-13 filings and reading quarterly newsletters are favorite pastime activities among investment analysts. They give insight into what competitor funds are doing. 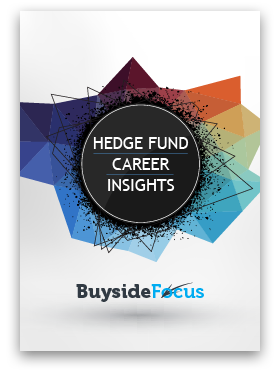 Insider Monkey breaks down F-13 filings and quarterly hedge fund reports to analyze holdings and explain investment rationales. Similar to Insider Monkey, GuruFocus provides holdings of top investors, but with a value bent. It also has an impressive collection of company data for investment research. Aswath Damodaran is an NYU Stern Finance Professor and beloved at investment banks. Known as the valuation guru, he makes regular appearances at bulge-bracket training programs to drop valuation knowledge onto incoming analysts. His blog is the online incarnation of his teachings and written with topical case studies on how to value businesses. The Distressed Debt Investing blog is an essential bookmark for those interested in credit hedge funds. Distressed investing seems complex and arcane, and there aren’t many good online resources to learn this trade. This blog by Reorg Research does a great job not only to teach you the basics of distressed debt investing, but also includes many intricate details of the bankruptcy process. A podcast started in 2015 by Barry Ritholtz, on Masters in Business he interviews A-list hedge fund investors to walk through their career stories in 1 – 2 hour sessions. It’s great content to get to know the prominent hedge fund investors on a personal level by hearing how they got into the business and started their funds. Similar to Masters in Business, Opalesque TV sits down with famous investors to walk through their career trajectories. The products are 5 – 10 minutes, bite-sized videos. I’ve featured some of the videos in the article Inside the Minds of the Greatest Hedge Fund Investors, which is a great compilation of talks by buy side legends. I chat regularly with analysts and portfolio managers on what they read, and these online resources come up time and time again. They are widely read by the investment industry and are great blogs to learn more about the markets and investing.